Born: 7 March 1792, Slough, near London, England. Died: 11 May 1871, Hawkhurst, Kent, England. John F.W. Herschel, mathematician and astronomer, was the only child of the famous astronomer Frederick William Herschel, discoverer of the planet Uranus. After attending a private school and receiving private tuition in mathematics he entered St John's College, Cambridge, in 1809, where he stood out as a result of his extraordinary intellectual ability. He obtained the highest marks in mathematics in his final examination (i.e., became "Senior Wrangler") in 1813. In 1812 he became the first (and only) president of the Analytical Society, a group of Cambridge students who had as their chief goal the introduction into the Cambridge mathematics curriculum of the analytical methods developed in continental Europe. That same year his first scientific paper, "Analytical formulae for the tangent, cotangent, etc." was published anonymously in the Journal of Natural Philosophy, Chemistry and the Arts (1812). Returning to Slough, Hershcel continued his studies in mathematics and the natural sciences on his own and started publishing a variety of scientific papers (at least 130 of them, over a period of 52 years) which represented a remarkable range of scientific interests and accomplishments. In recognition of his outstanding talent he was elected a Fellow of the Royal Society of London in 1813, at the unusually young age of 21, though admittedly on the proposal of his father. His mathematical papers won him the society's Copley Medal in 1821. 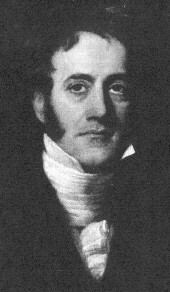 He served as secretary of the society from 1824 to 1827. From about 1816 Herschel began to take a serious interest in astronomy and in collaboration with James South re-observed the many double stars discovered during his father's survey of the northern sky from 1783-1803. With his father he cast, ground and polished a new 460 mm speculum mirror with a focal length of some 6 m and in 1820 used it to construct one of the most powerful telescopes in use at the time. That same year he played a leading role in founding the Astronomical Society (from 1831 the Royal Astronomical Society), serving as its president in 1827-1828, 1839-1840 and 1847-1848. During the years 1825-1833 he used his telescope to repeat his father's survey of the northern hemisphere, confirming and adding to the nebulae and double stars. He published seven important memoirs cataloguing double stars, as well as an improved method for calculating the orbits of double stars that are gravitationally linked. This work made him as prominent in astronomical circles as his father (who died in 1822) had been, and in 1826 (and again in 1836) earned him the Gold Medal of the Royal Astronomical Society. Herschel travelled widely in Europe and spoke several languages. In addition to his numerous publications he corresponded with many prominent scientists and it has been estimated that he may have written as many as 10 000 letters during his lifetime. He made important contributions to physics, including three book-length articles on "Light", "Sound", and "Physical astronomy" for the Encyclopaedia Metropolitana. Perhaps the most widely read of all his works was A preliminary discourse on the study of natural philosophy (1830, with many later editions to 1856), a classic in the empiricist tradition of the philosophy of science. Other publications by him included Astronomy (1833), Outline of astronomy (1849, with numerous later editions to 1902), and A manual of scientific enquiry (1849). Crowe (1994) has argued that he was the first British scientist to possess and implement the full range of mathematical, observational and experimental techniques that have made modern physical science possible. In 1831 King William IV honoured him as a Knight of the Hanoverian Order (KH). In March 1829 he married Margaret B. Stewart and the two produced a large family. In 1833 Herschel decided to extend his comprehensive astronomical survey of double stars and nebulae to the southern hemisphere, using his own telescope. He chose the Cape of Good Hope as a base because of its relative accessibility and the presence there of the Royal Observatory, from which he could expect professional assistance. This was a private venture and he therefore held no official position at the Cape. The family arrived in Cape Town in January 1834 and bought a country estate which Herschel called Feldhausen, in the present suburb of Claremont. Within weeks he had erected his main telescope, as well as an equatorially mounted 127 mm refractor. He spent most of his time systematically searching the sky on every clear night and processing his observations during the day. The search was performed in zones of declination three degrees wide, with a view to recording all the planetary and extragalactic nebulae, star clusters, and double stars. In addition to his sky survey Hershel made a study of various other astronomical phenomena. His chart of the Argo nebula gave the places of 1200 stars. He catalogued over 1100 objects in the Magellanic Clouds. He studied the structure of the Milky Way on the basis of his star counts in different areas of the sky. He designed an instrument, the astrometer, with which he determined the brightness of nearly 500 stars by comparing them with the brightness of a reduced image of the full moon, thus initiating objective stellar photometry. Late in 1836 he made the first satisfactory measurement of the intensity of direct solar radiation, using an instrument of his own design which he called an actinometer, and even did some experiments with solar cooking. He observed Saturn's satelites, and numerous sunspots. Between October 1835 and May 1836 he observed Halley's comet. Though working on his own, he soon formed a close friendship with Thomas Maclear*, the astronomer at the Royal Observatory, Cape of Good Hope, who had arrived only days before him. The two communicated frequently by letter and collaborated on many occasions. Herschel supported and advised Maclear in matters such as instrumental problems, initiating tide measurements and measuring a base line for survey work; on the other hand Maclear often supplied him with technical information that he required. After his return to England Herschel used his influence to ensure the expansion of the Cape Observatory over the next ten years. From September 1834 he served as president of the South African Literary and Scientific Institution for several years. He was a member also of the institution's meteorological committee and compiled Instructions for making and registering meteorological observations in southern Africa, and other countries in the south seas, and also at sea, a pamphlet published both in Cape Town (1834) and in London (1835). In June 1834 he served on the committee that drew up instructions for the expedition into the interior led by Dr Andrew Smith*. And upon the expedition's return he chaired a general meeting of the Association for Exploring Central Africa in March 1836 to hear Dr Smith's report. He was re-elected as a member of the association's committee of management at that same meeting. Hershel was an accomplished draughtsman. Using a camera lucida as a drawng aid he made many accurate pencil sketches of landscapes near Cape Town, Paarl and Stellenbosch, which are of historical interest. He also made more than 130 sketches of local wild flowers, many of which were coloured in by his wife; eighteen of these are in the National Library of South Africa in Cape Town. He made an extensive living collection of local bulbous plants, mainly of the families Iridaceae, Liliaceae, Amaryllidaceae and Orchidaceae, and took some 200 species with him to England. His interest in botany led to a friendship with William Harvey*, who arrived at the Cape in September 1835. The orchid genus Herschelia was named in his honour. Of particular significance was Herschel's interest in education and the key role he believed it could play in the social improvement of people in the lower social classes. With John Bell, secretary to the government, and John Fairbairn, newspaper editor and parliamentarian, he drew up recommendations on educational reform at the request of the governor. His memorandum to the governor, dated February 1838, appears to have carried much weight in the subsequent revision of the fragmented and largely ineffectual education system at the Cape. As a protagonist for a system of state education he recommended an undenominational system of public shools, and conditions of service for teachers that would ensure a more stable and efficient staff. He also advocated the adaptation of the syllabus to the needs of the colony, for example, by giving more attention to practical education and less to the study of classical languages. He supported the appointment of a full-time superintendent-general of education and had the satisfaction of seeing his friend, James Rose Innes* appointed to this new position in 1839. After his return to England he assisted the secretary for the colonies, Lord Glenelg, in selecting suitable teachers for the Cape. Having accomplished his main objective, Herschel left the Cape for England in March 1838. Members of the South African Literary and Scientific Institution took leave of him at a ceremony on 10 March, at which he was presented with a gold medal in recognition of his services to the institution. The high regard in which he was held at the Cape was shown soon after his departure by a successful movement to raise funds in order to erect a monument on the site where his main telescope had stood. A stone obelisk was erected on the exact spot in 1841, with an inscription recognising his contributions to science and education at the Cape. In further recognition of his services a new magisterial district in the eastern Cape was named after him in 1873. At present the town Herschel still caries his name. Much of his time during the next few years was spent in working up his Cape observations. The work was finally published in London in 1847 as Results of astronomical observations made during the years 1834, 5, 6, 7, 8, at the Cape of Good Hope; being the completion of a telescopic survey of the whole surface of the visible heavens commenced in 1825. Its most important feature is a catalogue of 1707 nebulae and star clusters, many of them not seen before, and many observed more than once. A list of over 1000 pairs of double stars is next in importance, as little further work on double stars was done in South Africa until the end of the century. Also included are his surveys of the Magellanic clouds; estimates of the relative magnitudes of the principal southern stars; and more. Because of the high quality of his telescope, even compared to those available to professional astronomers at the time, his work was of major international significance. Thus his discoveries formed the main basis for the southern part of Dreyer's New general catalogue of nebulae and clusters (1888 and supplements), for decades a standard work of reference. Subsequently Herschel made some important chemical discoveries relating to photography (1839-1842) and was the first to apply the terms "negative" and "positive" to photographic images. Among the honours he received were a baronetcy at the coronation of Queen Victoria in 1838, and an honorary doctorate from Oxford University in 1839. He served as president of the British Association for the Advancement of Science in 1845 and was a member of numerous scientific societies. From 1850 he held an appointment as master of the British mint, but resigned in 1855 because of ill health. As he became older he preferred a quiet life in Kent, where he had settled in 1840. However, he continued to write on a variety of scientific subjects, including book length articles on "Meteorology" (1857), "Telescope" (1859) and "Physical geography" (1860), the last two for the 8th edition of the Encyclopaedia Britannica. Despite being at the cutting edge of science for most of his life he later expressed reservations about Charles Darwin's* theory of evolution, opposed the new doctrine of the conservation of energy, and advovated the possibility of life on the sun and moon. For relaxation he started translating poetry, including works of Schiller, Homer's Iliad (1866), and the first part of Dante's Inferno (1868). In spite of his prodigeous talent Herschel was a modest man, with a ready friendliness and charm, always ready to help younger scientists. Cape of Good Hope annual register, directory and almanac... (title varies), 1835-1838: South African Literary and Scientific Institution. Cape of Good Hope Association for Exploring Central Africa. Instructions for the Expedition into Central Africa from the Cape of Good Hope, 23 June 1834. (Cory Library, Rhodes University). Cape of Good Hope Association for Exploring Central Africa. Proceedings of a general meeting of the members of the association held on the 19th March 1836, immediately after the return of the expedition, Appendix 3 (pp. 65-68). (National Library of South Africa, Cape Town, Vol. SABD 4). Cowan, N. Sir John Herschel: His contributions to photography. Africana Notes and News, 1972, Vol. 20(2), pp. 43-47. Crowe, M.J. John Herschel: Britain's first modern physical scientist. Transactions of the Royal Society of South Africa, 1994, Vol. 49(1), pp. 57-69. Crowe, M.J. Bibliography of the publications of Sir John Herschel. Transactions of the Royal Society of South Africa, 1994, Vol. 49(1), pp. 125-140. Fairall, A.P. et al. Sir John Herschel's observations of stars in the large Magellanic cloud. MNASSA, 1976, Vol. 35, pp. 38-46. Fairall, A.P. et al. Sir John Herschel's observations of stars in the small Magellanic cloud. MNASSA, 1978, Vol. 37, pp. 69-72. Geary-Cooke, R. John Frederick William Herschel Bart, KH, FRS, FRAS, at the Cape 1834-1838. Veld & Flora, 1979, Vol. 65(2), pp. 45-47. Hoskin, M.A. John Herschel and astronomy: A bicentennial appraisal. Transactions of the Royal Society of South Africa, 1994, Vol. 49(1), pp. 1-17. Rourke, J.P. John Herschel and the Cape flora, 1834-1839. Transactions of the Royal Society of South Africa, 1994, Vol. 49(1), pp. 71-86. Schaaf, L.J. John Herschel, photography and the camera lucida. Transactions of the Royal Society of South Africa, 1994, Vol. 49(1), pp. 87-102. South African Commercial Advertiser, 10 February 1836, p. 1, Association for Exploring Central Africa; 30 March 1836, p. 1, Central Africa; 21 March 1838, p. 2, Sir John Herschel; 10 November 1838, p. 1, 14 November 1838, p. 1, 8 February 1840, p. 2, 16 October 1841, p. 2, 23 October 1841, pp. 2-3, 30 October 1841, p. 2 and 12 January 1842, p. 2, [the Herschel obelisk]. Spargo, P.E. Foundations strong and lasting - Herschel's work in education at the Cape. Transactions of the Royal Society of South Africa, 1994, Vol. 49(1), pp. 103-115. Van den Bos, W.H. South Africa's contribution to double star astronomy. Scientific South Africa, 1964, Vol. 1, pp. 130-135. Warner, B. Sir John Herschel's description of his 20-feet reflector. Vistas in Astronomy, 1979, Vol. 23, pp. 75-107. Warner, B. Sir John Herschel at the Cape of Good Hope. Transactions of the Royal Society of South Africa, 1994, Vol. 49(1), pp. 19-55.